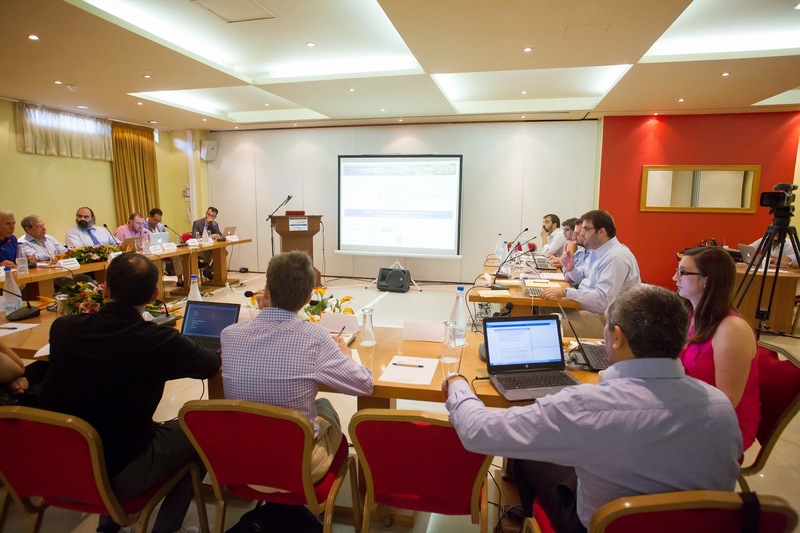 The Greek Public Policy Forum organised its 3rd Annual GPPF Chania Forum, titled “Europe in Flux: Secessionism, Ideological Polarisation, and the Emerging Institutional Design of the EU”, on September 26 and 27 at the Κiani Beach Resort in Chania, Crete. The event took place thanks to the kind sponsorship of Decidendi Consultants, Europe Direct Region of Crete, and the solar systems company CALPAK S.A.. We also wish to thank the ELIAMEP Crisis Observatory, the Hellenic Alumni Association of the London School of Economic, and the Economic Chamber of Greece (Department of Western Crete) for their support. The 1st panel of the conference, titled “An ‘Ever Closer Union’ in the Midst of Ideological Polarisation? 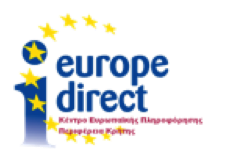 Democratic and Institutional Implications of the European Elections”, delved into the institutional framework of the European Union and pointed to the role of representative institutions. Its main focus was the long-standing framework of representation, accountability, and democratic deficit within the EU institutional apparatus. The first speaker was Adrienne Héritier, Professor of Political Science at the European University Institute in Florence. Prof. Héritier concentrated her talk on the way executive and legislative institutions operate within the EU. Her main thesis was that the way the EU currently operates drives the Union into a more parliamentary model of government. Two main points lead to this conclusion. First, the Parliament’s initiative to pre-empt the European Council’s right to propose a candidate for the Commission presidency clearly bears resemblance to a more parliamentary approach. Second, the proposal of a political programme for the new Commission and the restructuring of the Commission in order to implement such a programme present steps in the direction of a parliamentarisation of the European political system. Moreover, the fact that MEPs are nowadays socialised within a context of a more active parliament generates higher levels of responsiveness to the European citizenry and helps towards the formation of a more European identity among the political elites. These processes generate a clear dynamic of parliamentarisation. The second panelist was Irene Martín Cortés, Associate Professor of Political Science at the Autonomous University of Madrid. Dr. Martín’s topic was PODEMOS (‘We Can’), a new Spanish political party that has generated considerable discussion both in Spain and abroad following its exceptionally good electoral performance in the first election it contested. In the European Parliament elections of May 2014, PODEMOS received 8% of the vote and emerged as the fourth strongest party of the country. Dr. Martín shed light on the ideological profile and organizational structure of the party. In her discussion, she argued that the comparison often made between PODEMOS and SYRIZA (the radical left-wing main opposition party in Greece) is flawed both in terms of ideological premises and in terms of organizational structure. Unlike SYRIZA, PODEMOS avoids placing itself on the left-right dimension and clearly refrains from using ideologically charged terms, promoting instead the so-called new cleavage between the old and the young. This division helps the party portray itself as the representative of an important new political force as opposed to traditional party elites. Its organisational structure, based on the logic of partially overlapping circles, is based on the grassroots membership of the party and thus bears little resemblance to SYRIZA’s more institutionalised organisational structure. Instead, it seems that the organization of PODEMOS comes closer to that of the Greek party TO POTAMI (‘River’). In a way, the only perhaps clear common point of reference between PODEMOS and SYRIZA is that both parties enjoy a clear ascending trend in the polls. That being said, the PODEMOS projected vote share is currently considerably lower than that of SYRIZA, even if both parties get votes from all camps of the ideological spectrum. The last panel speaker was Fernando Mendez, Lecturer in the University of Zurich and the Swiss Federal Institute of Technology (ETH) and Director of the e-Democracy Centre. Dr. Mendez discussed the role of referendums in the EU and how they could be used to overcome the notorious democratic deficit that the Union is still facing. Using data from a pan-European Voting Advice Application (EUvox), Dr. Mendez showed that European public opinion is divided with respect to whether EU treaties should be ratified domestically via referendum or not. More specifically, in more eurosceptic countries (e.g., United Kingdom) there seems to be more support for the use of referendums than in countries with higher levels of support for the European project (e.g., Germany). The 2nd panel was titled “From ‘GRexit’ to ‘BRexit’? European Integration, Variable Geometry, and Secessionism in Britain and Beyond.” The discussion centred around the paradoxical coexistence of strong pro-integration forces together with secessionist tendencies gathering force in certain countries (e.g., Scotland in the UK and Catalonia in Spain). Moreover, in light of the prospect of a UK referendum on EU membership, the panelists discussed the feasibility of deeper integration in the absence of a new ‘multi-speed’ institutional framework in the EU. The first panelist was Carlos Closa Montero, Professor of Political Science at the Institute of Public Goods and Policies, Spanish National Research Council. Prof. Closa noted that at first glance the recent Scottish referendum, despite the pro-union outcome, has set a dangerous political precedent for other secessionist movements. He added, however, that such a reading of the outcome is misguided, since, unlike in other cases where secessionism has a nationalist basis, in the case of Scotland what was at stake was the scope and quality of democratic representation within the context of the British constitutional order. The second panelist was Alan Renwick, Associate Professor in the Department of Politics and International Relations of the University of Reading. Dr. Renwick started off by noting that according to recent polls there seems to be a shift in British public opinion in favour of staying in the EU. The percentage of voters in favour of a ‘Yes’ vote is projected to be even higher (2 out of 3 respondents) if there happens to be a favourable renegotiation of the UK’s terms of membership. Furthermore, he added that the prospect of the election of a UK Independence Party Member of Parliament in the upcoming by-elections would significantly enhance the party’s profile and help its effort to transform itself from a small protest party to a credible party of government. The third panelist was Vera Troeger, Professor of Quantitative Political Economy at the University of Warwick. Prof. Troeger argued that, even though the UK remains outside of the Eurozone, the interest rates in the sterling zone seem to co-vary rather closely with the ECB rates. She went on to analyse the pros and cons of various scenarios regarding the future of the Eurozone (e.g., its dissolution or the creation of a two-tier currency area divided between the core and the periphery). Finally, she noted that, although the implementation of a new Marshall Plan as an engine of growth in the European periphery would be the best-case scenario, this appears to rather improbable at the moment given that a large majority of the German electorate is opposed to it. The 3rd session was titled “How Can the Next Financial Crisis Be Averted? Institutional Responses and Macroprudential Regulation”. The panel benefitted from the insightful interventions of Dr. Despina Chatzimanoli, Legal Expert at the European Banking Authority, Mr. Karel Lannoo, CEO of the Centre for European Policy Studies, and Dr. Dimitrios Magos, Economic Analyst at Unit G1 (Economic Analysis of Financial Markets and Banking) of the European Commission. Dr. Chatzimanoli started off by saying that the European Union wants to develop a Banking Union in order to support the Common European Market. She also mentioned that, although in Europe there are countries with large banking sectors compared to their GDP (such as Luxembourg), Europe as a whole is not over-banked. For countries with oversized banking sectors there will always be the question of whether they can handle a banking crisis without using taxpayers’ money and without creating a negative feedback loop to the sovereign. Finally, she argued that the current crisis has led to a loss of trust amongst national banking supervisory authorities (balkanisation of the single market), thus making the creation of a Single Supervisory Mechanism even more necessary. On his part, Mr. Lanoo noted that slowly but surely the fragmentation of the European banking supervisory framework has started to subside, thus reinforcing the European interbank market. On the most part, European supervisory mechanisms have been upgraded, while the advent of bank restructuring rules and bank deposit guarantees have created a powerful backstop against another potential financial crisis. On the other hand, the ECB will not be able to achieve the following two goals simultaneously: firstly, to stimulate the EMU economy and, secondly, to deal with the banking crisis and banks’ Non Performing Loans (NPLs). He also mentioned that, if Europe does not deal with the toxic portfolio of NPLs, then the impending liquidity crunch may take Europe down the path of the Japanese economy towards very low rates of growth for more than ten years. Mr. Magos pointed out that a healthy banking sector is the backbone of any developed or developing economy and a prerequisite for development. For this reason, in most countries banks enjoy an implicit subsidy from the sovereign in the form of reduced costs of funding. This implicit subsidy is usually higher for larger banks and thus may lead to reduced and unfair competition. On the flip side, beneficial economies of scale are difficult to prove or quantify in the banking sector, especially once you factor in the potential losses to the sovereign arising from banks ‘too-big-to-fail’. In Europe this has led to oversized and overleveraged banking sectors relative to domestic GDP levels. As a result, the European regulatory framework has become tighter, in order to keep a check on the activities of the larger ‘systemic’ banking groups. Europe needs a strong Banking Union in order to (i) implement a common supervisory framework, (ii) guarantee financial stability, (iii) reinforce the trust between national financial authorities, and (iv) break the negative feedback loop between banks and sovereigns. The 4th panel, titled “Is the Quest for Banking Union Urgent and Timely? A Critical Appraisal”, consisted of the following panellists: Dr. Sotiris Georganas, Reader in Behavioural Economics at City University London, Prof. Dalvinder Singh, Professor of Law at the University of Warwick, and Prof. Stavros A. Zenios, Professor of Finance and Management Science at the University of Cyprus and a Senior Fellow of Wharton Business School. Dr. Georganas started off by noting that the competitiveness of an economy is not tantamount to a current account surplus and that current account deficits are not necessarily deleterious to the real economy. The goal of real competitiveness per se does not make much sense in the context of a European Monetary Union and a Single European Market, where capital account imbalances go hand-in-hand with current account imbalances. A Eurozone consisting of German ‘clones’ would not resemble the German economy today, as it would lead to the Euro to appreciate to the extent required today for the counterbalancing inflation of German wages. According to Dr. Georganas, the completion of the Banking Union is fettered by two major problems: (i) the financial illiteracy of the average citizen and the behavioural biases of investors, and (ii) the fact that banks remain highly unpopular. It is quite telling in fact that the largest opposition to Banking Union comes from citizens of countries that stand to reap the most benefits. Prof. Singh provided a legal analysis of the EU’s Bank Recovery and Resolution Directive, describing banking union as a single mechanism for the supervision, regulation, and recapitalization of banks. As a result, this mechanism centralises more powers at the European level, but also brings more responsibilities with regard to the deleterious negative feedback loop between bank balance sheets and sovereign budgets. Finally, Prof. Zenios argued that main problems of the Eurozone can be summarised in the following three phaenomena: (i) the vicious circle between bank balance sheets and sovereign budgets, (ii) capital flight, and (iii) the manufactured contagion of economic risks via mechanisms such as ‘no bailout’ and ‘bail-in’. He also noted tha the ‘bail-in’ model could in fact prove to be an effective policy for the enforcement of fiscal and financial discipline, yet the way it was implemented in Cyprus was rather arbitrary, ex post, non-transparent, and unjust. Therefore, there are serious flaws both in the original design of the EMU and in the implementation of crisis-management mechanisms. For exaple, the Single Resolution Fund has been too little (55 billion Euro) and has come too late (2016). The 5th session, titled “Is Europe on the Right Path? The Past, the Present, and the Future of European Integration”, benefitted from the insightful comments of P. Nikiforos Diamandouros, Professor (Emeritus) of Comparative Politics at the University of Athens and former European Ombudsman (2003-2013), and Christos Rozakis, Professor (Emeritus) of International Law at the University of Athens and former Vice-President of the European Court of Human Rights. The two speakers concurred that a balance needs to be maintained between the supranational and the intergovernmental elements of European governance and expressed hope that the new Commission will reinforce supranationalism. Prof. Diamandouros focused on democracy and efficiency, distinguishing between three periods in the evolution of EU integration. The first one started with the founding moment and lasted up until 1993. What characterises it is the continuity of the Commission, acting as a strategic designer, but also the emergence of the ‘community method’, and the weakness of the European Parliament. When the Soviet Union collapsed, democracy appeared to triumph. The second period, which lasted until 2004, brought democracy and accountability within the EU, as well as a reinforcement of the role of the Parliament, which started to exert more control over the Commission, thereby leading to the erosion of the ‘old model’. Change in that period was also reflected in the sociology of the language used and the emergence of new jargon, such as the concept of European citizenship. The third and final era in the integration process is the one that continues to the current day. The most recent enlargement rounds added enormous complexity, while the Treaty of Lisbon is still being gradually implemented. The Parliament is still ‘digesting’ its new role and the European Council has been further institutionalised. It remains, however, to be seen whether the ‘Juncker’ experiment will help the Commission to strengthen its position and further contribute to recapturing the balance between efficiency and democracy. Nevertheless, the context is now radically different, owing not only to the crisis but also to the fact that the Parliament is more assertive. Thus, it seems to be even more necessary that the Commission ‘reinvent’ itself. On his part, Prof. Rozakis emphasised the need for equilibrium between intergovernmentalism and supranationalism, linking the Commission and the Parliament with the latter aspect. The crisis has disturbed the legislative process within the Union, placing it away from the supranational organs and into the hands of the Council of Ministers. Regrettably, the Commission has lost credibility by transforming itself into an ‘agent’ of the Council. To some extent, this is due to the crisis, but also to enlargement and the fact that the new member states were sceptical towards further integration. Moving forward, a return to supranationalism is necessary, as well as a relaunching of the integration process in the direction of economic union. Banking Union is a step in the right direction, but it needs to be complemented with the supervision of national budgets by the EU and the reinforcement of supranationalist EU institutions. The 6th panel, titled “What Lessons Have We Learnt from the Greek Crisis? Indebtedness, Austerity, and Growth in a Southern Economy”, consisted of George Pagoulatos, Professor of European Politics and Economy at the Athens University of Economics and Business and former Senior Advisor and Director of Strategy at Prime Minister Papademos’s office, and Panos Tsakloglou, Professor of Economics at the Athens University of Economics and Business and former Chairman of the Greek Government’s Council of Economic Advisors (2012-4). Prof. Pagoulatos noted that, following the Single Supervisory Mechanism and the Single Resolution Mechanism, the third pillar of Banking Union, namely the common guarantee of bank deposits, has yet to be implemented. Although we now have more institutions to deal with financial crises in the future, there remains a glaring absence of crisis resolution mechanisms in the form of a sovereign lender of last resort and a credible fiscal backstop. Economic stagnation has started to seep into European ‘core’ countries, while, in the meantime, the burden of adjustments on Southern economies has not been matched by equivalent adjustments by Northern economies. The impressive activism on the part of the ECB (with programmes such as ELS, SMP, OMT, etc.) came too late, while there is no policy of quantitative easing on the horizon. All in all, Prof. Pagoulatos concluded that policy responses have fallen short of what was desirable. According to Prof. Tsakloglou, the only monetary unions that have survived over time are those that have managed to transform into fiscal unions. In the case of the EMU, there are important components of a fiscal union missing, namely a transfer mechanism from the European ‘North’ to the European ‘South’ counterbalancing cyclical effects (e.g., unemployment). The Greek crisis has manifested unprecedented levels of economic depression in terms of loss of GDP among post-WWII economies. Greek debt has skyrocketed to extremely high levels and a debt reprofiling is certainly on the cards. The Greek economic crisis, unfolding in the context of deflationary pressures and economic stagnation in Europe, was rather predictable; political pressures for expansionary fiscal policies even at times of high economic growth led to primary fiscal deficits of more than 10% (Greece in 2010), characteristic of a country coming out of a war, not galloping out of a period of continuously high levels of growth. While fiscal consolidation was deemed necessary and unavoidable by both speakers, yet the Greek adjustment programme could have been more medium-term oriented, instead of being so front-loaded, expenditure-oriented, and heavily pro-cyclical, thus accentuating the recession and leading to further fiscal target slippage. As a result, the Greek bailout programme has been deemed as the least successful in terms very high discrepancies between initial targets and final outcomes. Export growth has not been made possible, due to the lack of supporting institutions and the persistence of very low levels of FDI. ‘Grexit’ speculation in fact further aggravated the crisis and undermined consolidation measures. Moreover, according to Prof. Tsakloglou, had the debt haircut taken place sooner rather than later, it would have been less costly, although having it later provides stronger incentives to perform. The Greek structural reform programme came too late and still remains on the most part short of full implementation, as it entails significant short-term political costs and takes time to deliver long-term benefits. The Greek stock of competitiveness is still the lowest in the Eurozone and, therefore, adjustment is a protracted long-term process, as outlined in the 10-year reform agenda of the Memorandum of Understanding. Moreover, in contrast to the Irish case, the Greeks have not sought to adapt the Memorandum to a wider domestic paradigm of economic development and to gain ownership of the reform agenda. In the absence of strong commitment mechanisms guaranteeing fiscal prudence, political stability, and policy continuity, the Eurogroup will continue to impose its own reform agenda through explicit conditionality arrangements. Greek politicians have, unfortunately, not shown the willingness to take ownership of the necessary reforms and thus to ‘sell’ them accordingly to the public. Going back to Prof. Pagoulatos, he argued that the contractionary policies of internal devaluation policies need to be offset by a countercyclical fiscal stimulus funded by the European Investment Bank and EU structural funds. Any measures of debt relief need to be provided in a well-coordinated and structured manner, unlike current short-termist, haphazard, and ad hoc practices. On the other hand, Prof. Tsakloglou emphasised the need for the protection of the long-term unemployed through centralised European programmes and minimum income guarantees. Both concurred that Europe needs to take more effective and ambitious steps towards the completion of the European Economic and Monetary Union. The Chania Forum ended with a political roundtable discussion on “Governance and Policy Responses in Greece and Europe” moderated by Mr. Vassilis Nedos, politics correspondent at the Greek daily Kathimerini. This political roundtable consisted of Mr. Michalis Peglis, European and International Affairs Advisor to the Prime Minister of Greece, Mr. Kyriakos Pierrakakis, Member of the Political Office of Greek Party PASOK, Mr. George Stathakis, Member of Parliament and Shadow Minister of Finance of the Greek Party SYRIZA, Mr. Panagiotis Vlachos, Spokesperson of the Progressive Forum ‘Forward Greece’, and Mr. Nicholas Yatromanolakis, Member of the Coordination Committee of Greek Party ‘TO POTAMI’. The 3rd Annual GPPF Chania Forum aims at continuing the discussion we started two years ago on how Europe and its Member States are changing because of the crisis. During our 1st Annual GPPF Chania Forum in 2012, we tried to examine these questions from a multidisciplinary perspective, focusing on the comparative dimensions of the crisis and primarily the division between ‘North’ and ‘South’, the ‘core’ and the ‘periphery’. During the 2nd Annual GPPF Chania Forum in 2013, we tried to maintain the multi-disciplinary character of our discussions, mainly focusing on the supranational level and examining how, despite the rise of euroscepticism, extremism and populism, this crisis may be a catalyst for deeper political and economic integration. This year our focus was on analysing and projecting the impact of European Parliament elections on the integration process and assessing the overall level of ideological polarisation both across national parties and regions with secessionist tendencies (e.g., Scotland). We further delved into the political economy and legal issues pertaining to the design of fiscal and banking union. The Greek Public Policy Forum is an initiative led by a number of Greek scholars from British Universities. The core group consists of Dr. Aris Georgopoulos (Assistant Professor in European and Public Law, University of Nottingham, aris.georgopoulos@gmail.com), Dr. Nikitas Konstantinidis (University Lecturer in International Political Economy, University of Cambridge, nikkon80@gmail.com), Dr. Elias Dinas (Associate Professor in Comparative Politics, Oxford University, elias.dinas@gmail.com), Mr. Kiriakos Papadakis (Decidendi Consultants, kiriakos_papadakis@hotmail.com), and Dr. Vassilis Tzevelekos (Lecturer, School of Law, University of Hull, vassilis.tzevelekos@gmail.com). Our aim is to establish a tribune for dialogue on public policy issues affecting Greece and Europe. Until now, we have organised a number of fora at the University of Oxford, the University of Nottingham, in Chania, as well as at the European Parliament in Strasbourg, tackling questions surrounding the crisis and its impact on Europe and its democratic foundations. We have also been running a research project on Greek constitutional reform in the aftermath of the crisis. Our next project will be aiming at fostering dialogue and generating new ideas and insights about the reform of the Greek judicial system.